Designer Song Zio plans to go international this year, promoting his flagship brand Songzio Homme in and out of Korea. Songzio Homme -- a contemporary menswear collection brand -- is currently looking into distribution channels, aiming to supply its products to the Chinese market by the second half of this year. The specific details have not been set yet. The brand said it has had strong sales in department stores frequented by Chinese tourists, leadingit to believe its products are marketable in China. 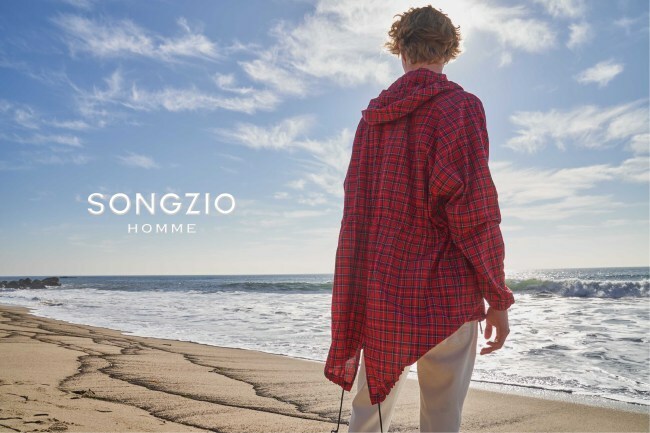 Along with Songzio Homme, the designer’s fashion business Songzio runs two more labels, Zio Songzio, casual menswear brand and Zio Songzio on Air, separate brand shipped out via a TV shopping channel. The three brands reached total sales of 66.9 billion won ($60 million) last year. It’’s a rare achievement for an independent company in Korea’s fashion market, which is heavily dominated by conglomerate-owned brands and department stores. As a seasoned designer and the former chairman of Council of Fashion Designers of Korea, Song stressed that the fashion industry should be more supportive of young designers with talent. “We need to build a cultural movement where Korean designers can proudly display their identity and talent with support from not just the government but also from the industry,” the veteran designer said.